I have been using this moisturiser for quite a while now and it is honestly the best I've come across. 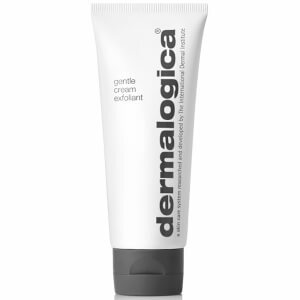 I have a combination skin type and I find that this moisturiser hydrates my skin really well without making it oily. I highly recommend this moisturiser. I am so happy with this moisturiser, it has been the first moisturiser in about 15-20 years that I have been able to use on my skin without irritation. While not creating an irritation it also does the job of keeping my skin moisturised, anybody who has sensitive or problem skin should benefit from using this product. I love this moisturiser. It's so light on your skin and you only need to use a tiny tiny bit. The 100ml lasts a long time. I Bought one in Feb and it's now the end of July and i'm STILL using the same one! It is great for oily skin like mine. If your worried about the cost like i was. Its worth every cent. This has to be one of the best moisturisers i have used, it feels so soft to apply and immediately sinks in there is no sticky feeling after applying and it looks great under foundation. It is a good moisturiser for both Summer and Winter as it's not too heavy but provides so much moisture for the cooler months. It does't clog my acne prone skin and has a beautiful mild fragrance to it. I have sensitive skin and anything to oily or concentrated makes me break out. I have been using active moist for a couple of years now and my skin has never looked better. Light and fresh, it will hydrate your skin without feeling heavy! Fantastic for oily skin. I am glad I changed to this moisturizer as it has fixed my skin and continues to do so. Highly recommended. I bought this moisturiser for my mum and she has been using it daily for some time now. It's lightweight and non greasy and doesn't irritate her sensitive skin.